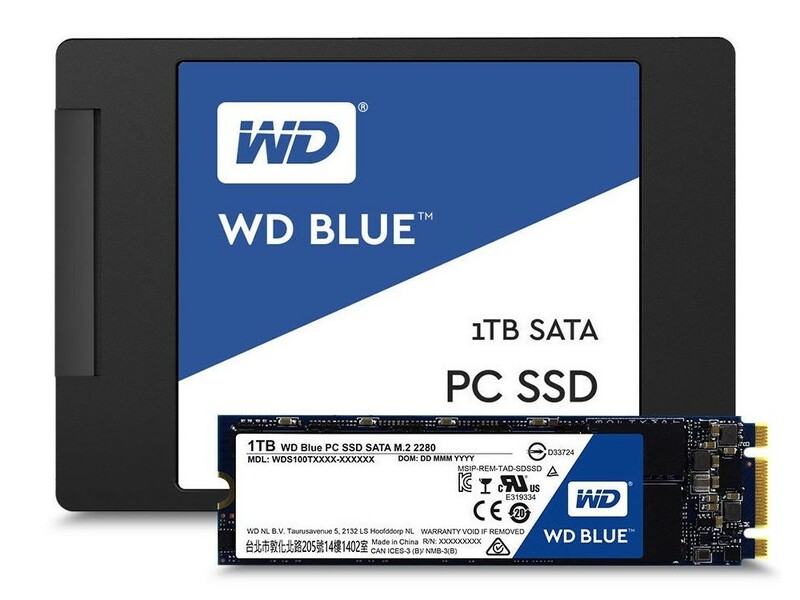 Western Digital Corporation today announced WD Blue and WD Green solid state drives (SSDs), the first WD-branded SATA client SSDs. The new SSDs complement the company’s industry-leading family of hard drives for PCs and workstations, providing a full portfolio of WD storage devices for virtually any application. The ultimate solution for building DIY PCs, extending the life of current PCs or upgrading existing storage, the WD Blue and WD Green SSDs boast near-maximum speed of SATA drives, best-in-class endurance and MTBF and WD Functional Integrity Testing (F.I.T.) Lab certification, resulting in quick boot times and increased program responsiveness. Consumers benefit from the combination of reliable storage with an industry-leading 1.75M hours MTTF, coupled with reduced power and less heat when compared to HDDs. Both include free, downloadable, WD SSD Dashboard software, which allows continuous performance and capacity monitoring. For consumers who are looking for instant-on responsiveness, durability, low power consumption, and ultra-thin, ultramobile form factors, the WD Blue and WD Green SSDs are the perfect options. WD Blue SSD: For customers looking for enhanced SATA performance, WD Blue SSDs are optimized for multitasking and resource-heavy applications. Perfect in either a notebook or desktop PC, WD Blue SSDs are available in 250GB, 500GB, and 1TB capacities, and in both 2.5-inch/7mm case or M.2 2280 form factors. The WD Blue SSD offers up to 545MB/s and 525MB/s sequential read and write speeds, and endurance up to 400 TBW. Manufacturers Suggested Retail Price (MSRP) ranges from $79.00 USD to $299.00 USD and will be available immediately to select customers worldwide. WD Green SSD: WD Green SSDs deliver essential-class performance, and are a great option for everyday use. Available in 120GB and 240GB capacities, and in both 2.5-inch/7mm case or M.2 2280 form factors, WD Green SSDs deliver an ultra-low power-draw, enabling PC users to work longer between battery charges. WD Green features sequential read and write times of up to 540MB/s and 405MB/s and endurance up to 80TBW. WD Green SSDs will be available later this quarter to select regions and customers.